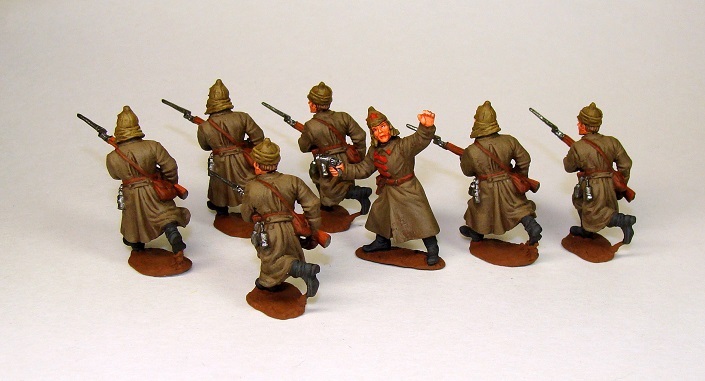 The complete set from five tin figures of 28 mm in height represents crew of an armored car of Red army of times of Civil war. Just these figures are perfect as the Red commanders and commissars. Heads at figures replaceable, interchangeable. ATTENTION! Figures are on sale not painted! Postage is not included into cost!